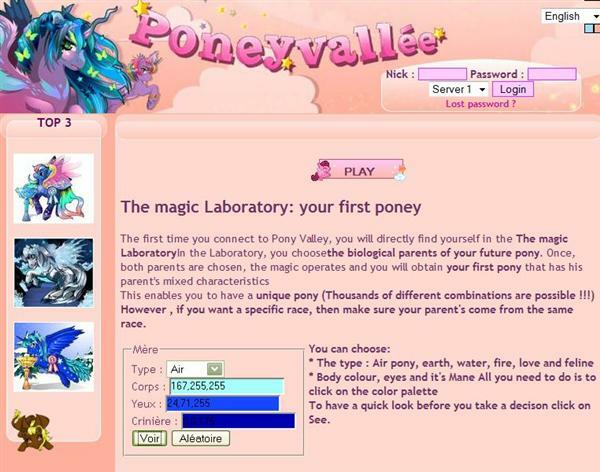 Pony Valley (or Poneyvalée) is an online game based on virtual animal breeding also available on Facebook, you will have to feed your pony and take good care of him on a daily basis. 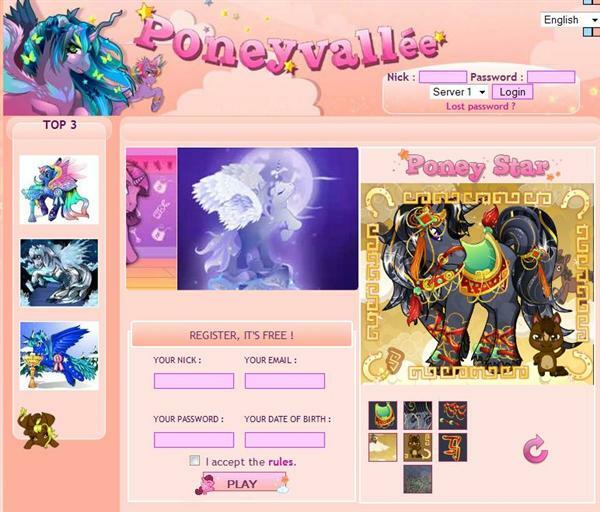 Players are very fond of the reproductive system in Pony Valley which allows them to mate adult ponies in order to get new born baby ponies. Each baby is a mixed and direct result of his parents’ characteristics. 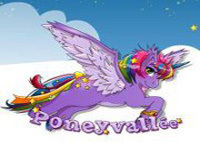 These traits truly embellish our ponies and is needed if you wish to climb the ranks for best breeder or prove that you have the prettiest pony in the game!The game’s lifespan is infinite thanks to numerous activities: Tournaments, quests, duels and many more! Players can group into teams to play together and compare their stables. 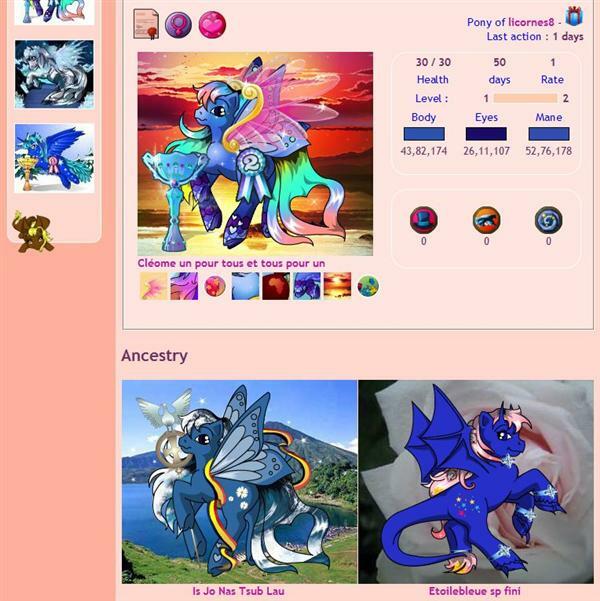 These possibilities have led to the creation of a strong community, which can be found on the forum to discuss the game and many other topics. 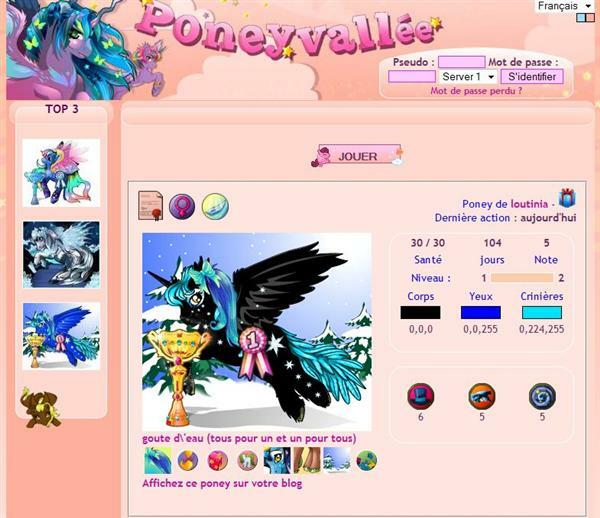 PonyValley or Poney Valée is available in several languages, including English, Français, Deutsch, Español, Italiano, Turkçe.